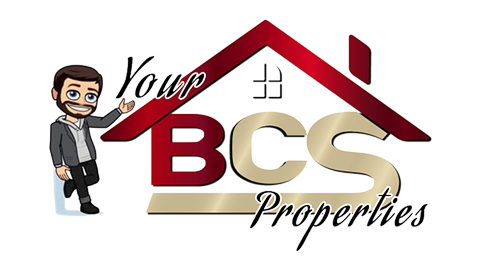 Williams Creek is located just 7 miles from the center of town, off of Rock Prairie road and Fitch. 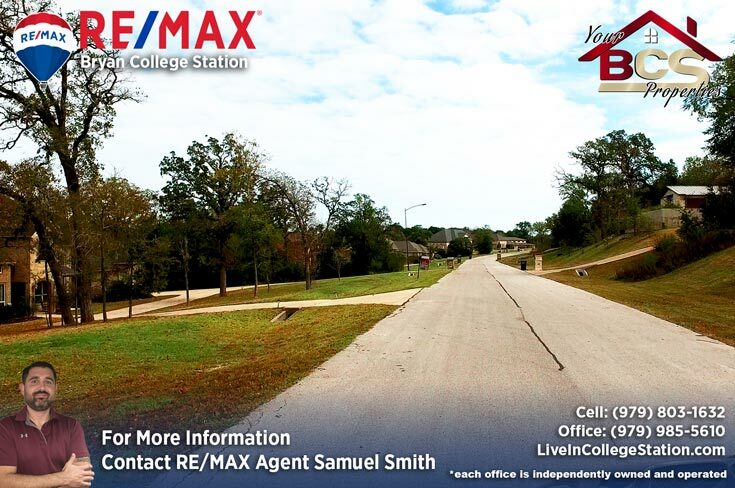 Residents enjoy the closeness, conveniences and utilities of this thriving community, but also the quiet country atmosphere and abundant wildlife of a genuine rural Texas subdivision. 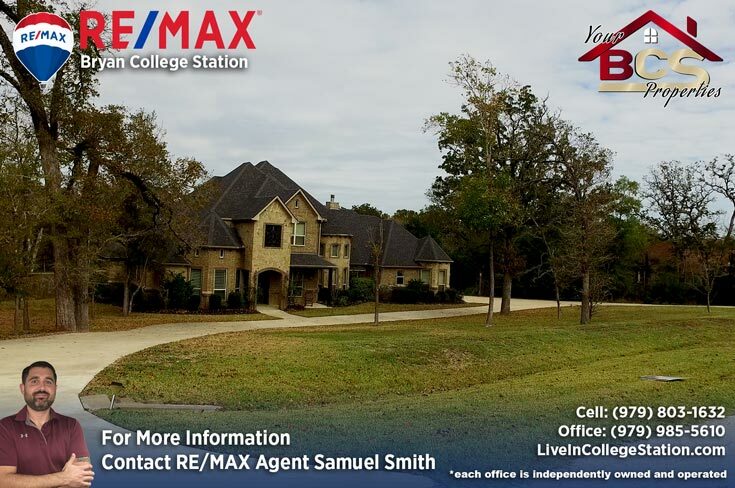 Watching deer run and squirrels play as you sip your Sunday morning Bloody Mary and take in the newspapers, Williams Creek is the quiet, tranquil country neighborhood that you’ve been waiting for. 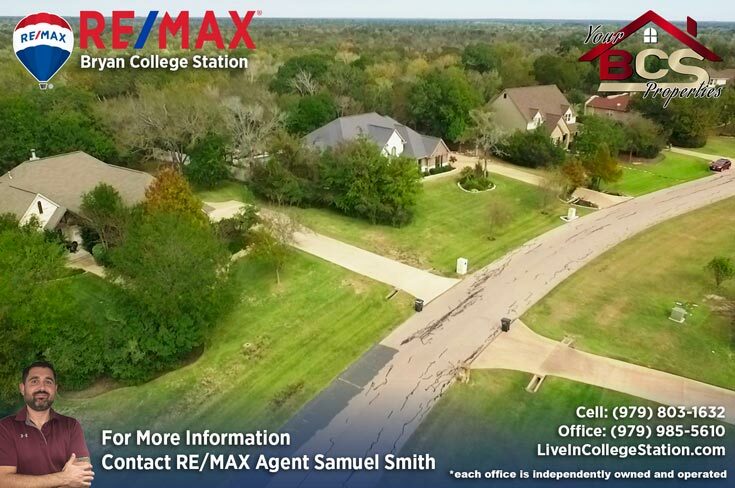 This secluded wooded residential neighborhood is zoned for single family residential properties ranging from one to eight acre estates and has easy access to College Station Independent School District, Texas A&M University and Blinn College, the Medical Corridor, and the Lick Creek Park. 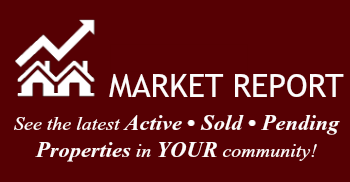 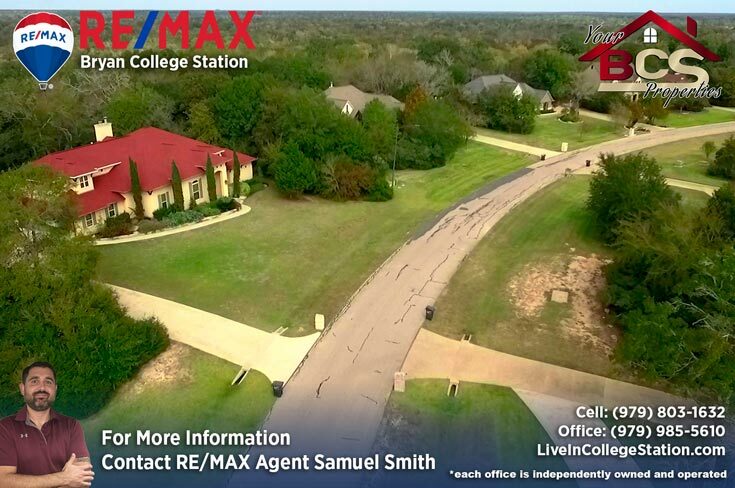 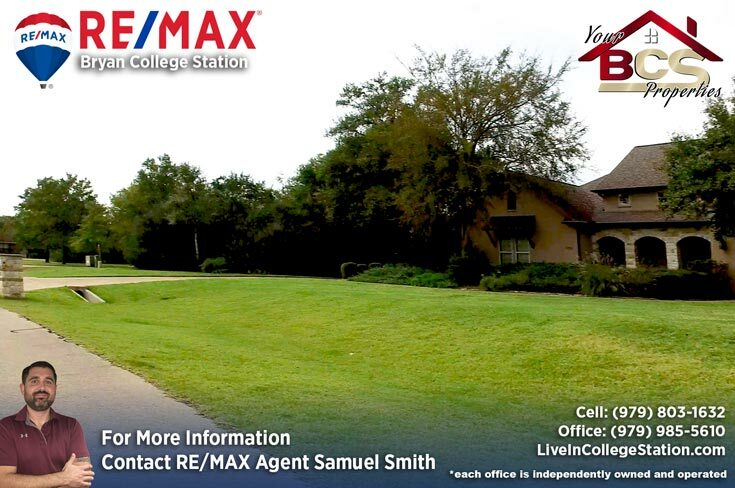 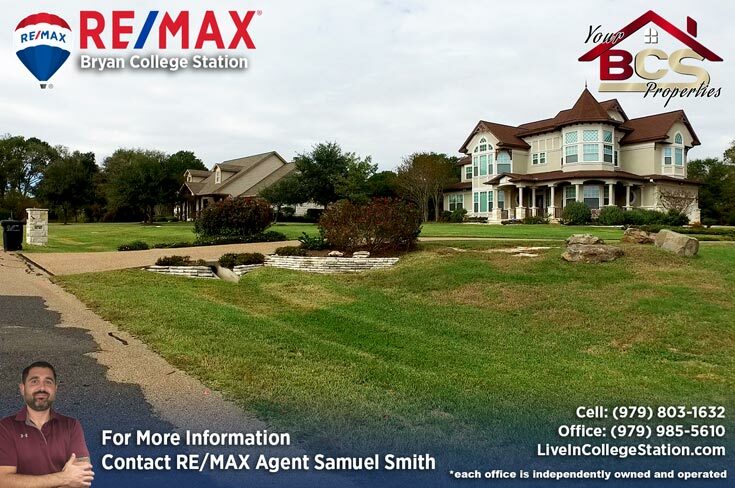 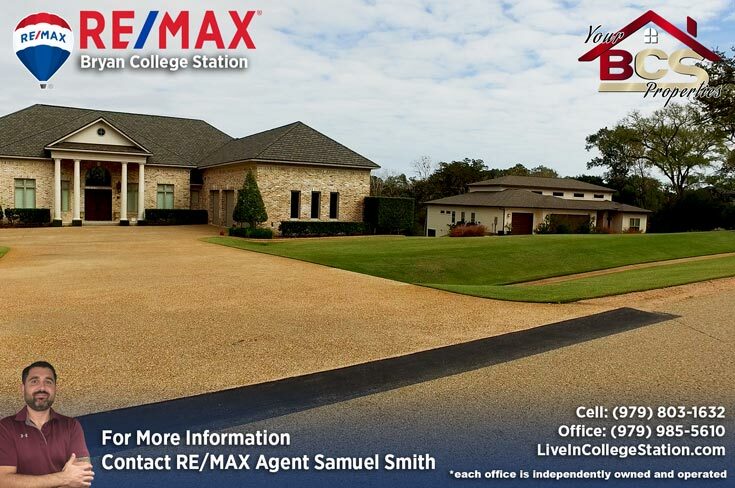 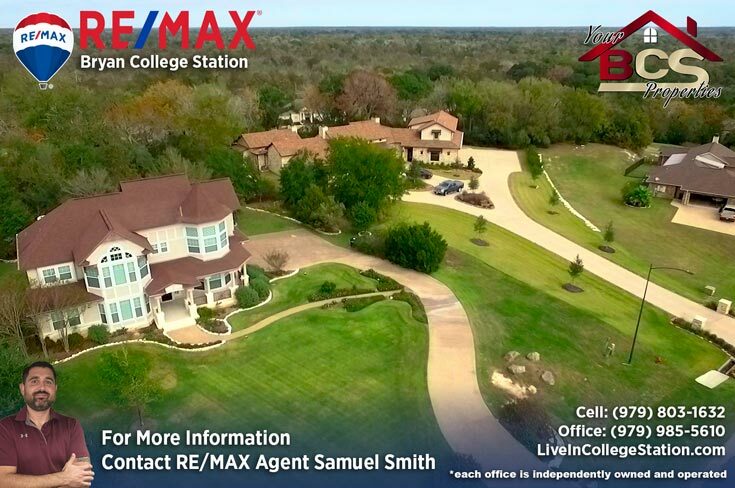 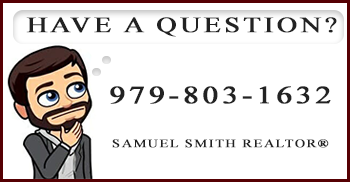 For your free, no obligation home valuation and more information on properties in Williams Creek, contact me – Bryan and College Station REALTOR® Samuel Smith RE/MAX agent. 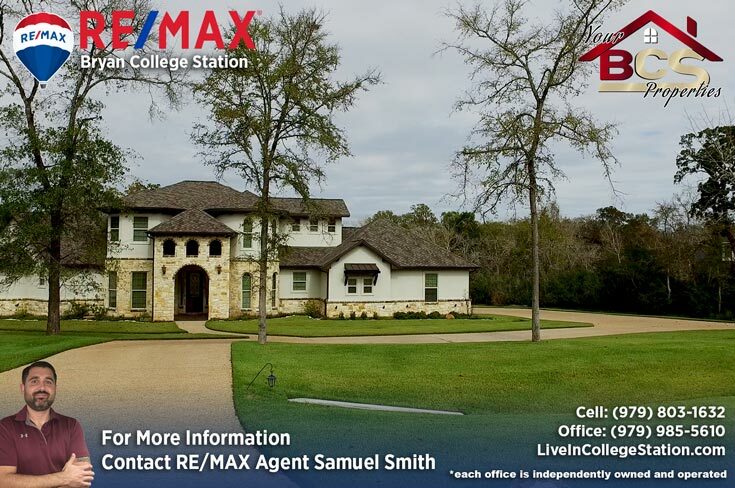 REALTOR® Samuel Smith a RE/MAX agent presents Williams Creek .